Presenting the The Michael Phelps XPRESSO Mens Competitive Tech Suit - created as part of a collaboration between Aqua Sphere and Olympic athlete Michael Phelps. Engineered with Aqua Sphere EXO-Core technology - A combination of Exo Foil and Aqua Core technologies. Each fabric has its own unique properties. The 3D stretch woven fabric used throughout the XPRESSO swimsuit features high quality compression properties tested and refined by Michael Phelps. The structure of the material means that it can mimic the flex and movement of your muscles. This added flexibility and improved range of motion provides you with a more natural feel in the water. The Aqua Core material provides added stability and support. 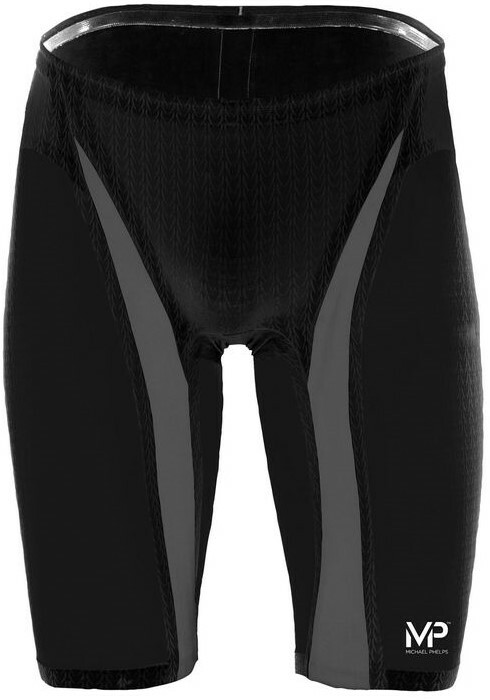 It features high levels of compression and is used in strategic positions in the XPRESSO tech suit to maximise the effectiveness of the compression. The primary Aqua Core panels run along the Femoral Artery in the leg, increasing circulation throughout the legs and allowing oxygen to reach your muscles in a more efficient manner. Unique design relaxes muscles both before and during competition. It's the combination of the two materials that delivers a new, higher level of performance. Hydrodynamic (water repellent) materials limit water absorption, keeping the swimsuit light and fast. Fully bonded seams create minimal drag and create a structure to help achieve correct body positioning in the water. Silicone leg grips provide a precise and secure fit.